New York, NY (March 1, 2010) – Hublot, the luxury Swiss watch company known for its innovative fusion of elements in its timepieces, is proud to announce the appointment of Beatrice de Quervain Blanchard as U.S. President. De Quervain Blanchard will join Hublot CEO Jean-Claude Biver and Managing Director Ricardo Guadalupe to oversee the US expansion strategy. Born in Switzerland, de Quervain Blanchard studied economics at the University of Zurich and attended Sup de Luxe in Paris to gain additional luxury goods experience. In 1993 she started her career in the Swiss watch industry by working with Jean Claude Biver at the iconic brand Omega, where she worked her way through the various stages of Product and Marketing to oversee the U.S. Marketing Division. In 1999 she joined Chopard as its first Marketing Director and was instrumental in gaining brand awareness in the brand’s watch and jewelry divisions. In 2001 she created her own distribution company before joining Harry Winston in 2004. At Harry Winston she was brought on board to oversee its luxury timepiece sales division on the East Coast and in select Caribbean markets, and in 2007 was promoted to global marketing director to head its communications initiatives. 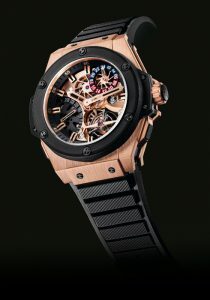 In just five years, Hublot has become one of the most sought-after high-end watch brands with some of its timepieces making watch history, such as the One Million Dollar Big Bang, All Black Big Bang and Mag Bang watches. 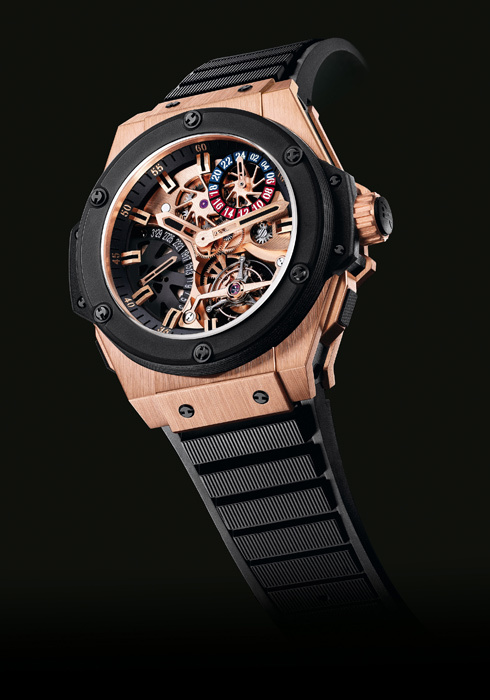 Jean-Claude Biver and his team is undoubtedly leading the company’s guiding principle of “Fusion,” which combines unusual materials such as gold with ceramic, tantalum, magnesium and titanium with a modern version of Hublot’s rubber strap.